Star Wars Launch Pad is open and if you are a Star Wars Nerd or even just a Star Wars fan you can spend a few hours in here seeing props from the movies and also meeting the Star Wars Characters. Also the Star Wars 3D simulator ride “Star Tours 2.0” is at Disney Hollywood Studios and has been updated and open for many years. But if you have not seen it since it was updated you need to ride it again. Star Wars: A Galactic Spectacular will be a new generation of the current Star Wars-inspired fireworks show featuring digital projections and other effects. This epic nightly show, unprecedented in Disney’s Hollywood Studios history, will light up the sky with Star Wars-themed fireworks, lasers, light projections and other special effects combined with Star Wars-themed music and iconic characters and scenes from throughout the saga. Disney Star Wars Land opening in late 2018? 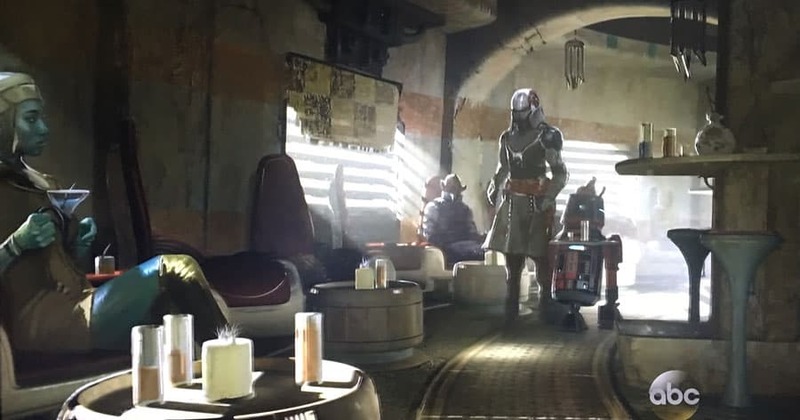 The Star Wars lands at Disney World and Disneyland have no open dates as of yet. But if you look at how long it traditionally takes Disney to open a new land. I don’t see anyone stepping into a Disney Star Wars land until late 2018 at the earliest. I am guess at this date as I take into account the remaining Star Wars movies that are to be released, and also figure that Disney is going to want to make their money back on Avatar Land at Animal Kingdom before taking guests away from that for Star Wars. Even 2018 seems to soon seeing that Avatar Land will not open until 2017 and Disney will probably want a full 18 months – 2 years to promote that new land at Walt Disney World. Love the podcast! Im going to Disneyland in a few weeks and cant wait! Have a great time at Disneyland Brianne. Disney’s Hollywood Studios Launch Bay is the great. Last we were there last week. 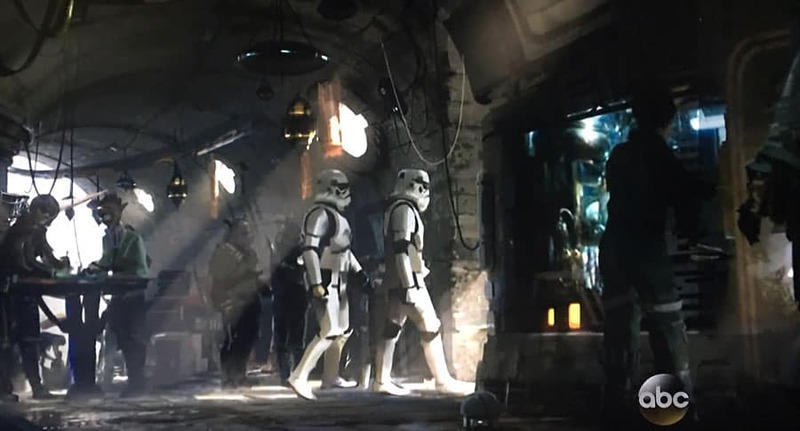 The Stormtroopers were marching in pairs around the courtyard then stopping and saying “citizen don’t panic this area is under the protection of the First Order”. 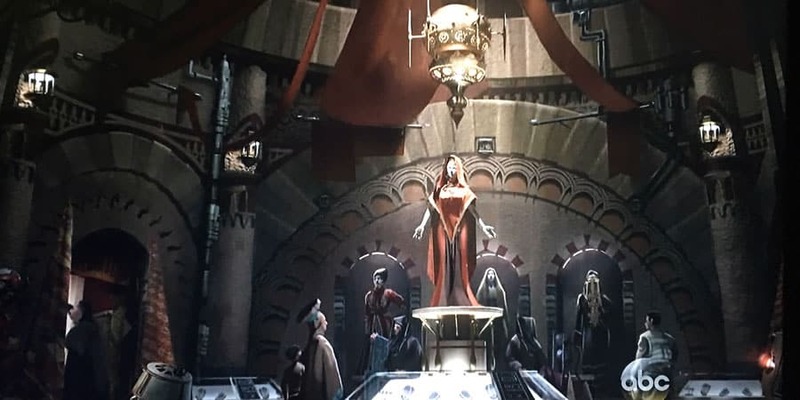 The early concept art for planned Star Wars attractions amazing. Love the show, listen every week and use the advice. Thank you, D & R.
Thanks Dave and Robin. We can’t wait for Star Wars either and I saw the launch bay at Disneyland. Chris and others have seen it at Disney World. They both are much better than I expected. I just started binge listening to your podcast at work so thank you all for helping me get through the day! I message my boyfriend all day letting him know next time we go “we need to eat here” or “we need to see this”! Ha Amanda, Yeah we get some people that binge listen. I can’t imagine that, but hopefully you get some good tips between our off topic humor. Thanks for listening and hopefully some of the new dining locations you learned about become your favorites. Just love listening to all the VERY helpful tips and all the new info about Disney! Thanks so much and my next Disney trip will be better thanks to you all! Thanks Summer. 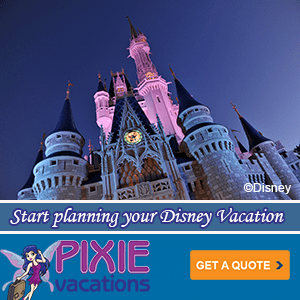 We hope your next Disney Vacation is perfect. Great Show as always you guys are my favorite show! Can’t wait to hear what you have to say next week. 🙂 Thanks Michelle. We have a few fun shows coming up on Mouse Chat. 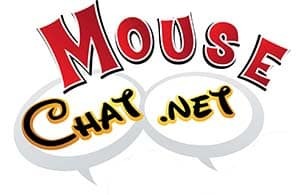 We even have a Meet the Mouse Chatters show that gets into a little more about us airing soon. Another great podcast. Thanks for the information! Loved the Star Wars podcast. Lots of oppturnity for Disney to take it to the next level. 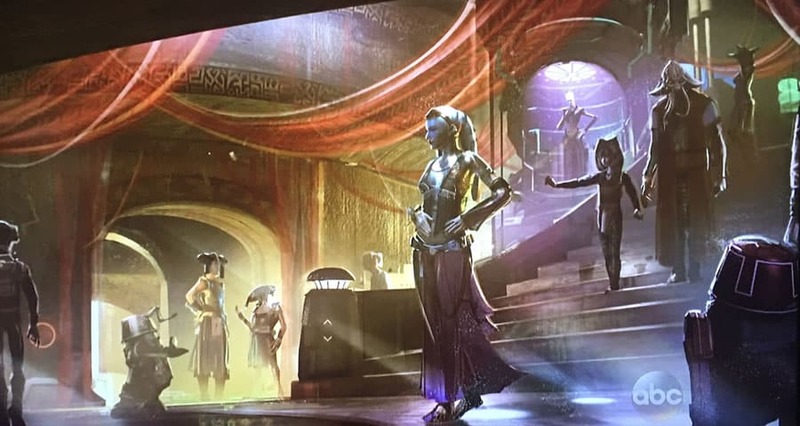 Yeah we can not wait to actually be surrounded by Star Wars in this cool land. LOVED this week’s podcast! We are headed to Disney World in early April and my 5 year old is so Star Wars obsessed, he’s made zero plans that don’t involve Hollywood Studios. He’s going to be so excited to see and here all this upcoming stuff. I have a feeling we will be wearing a path between Indiana and Orlando in a few years! 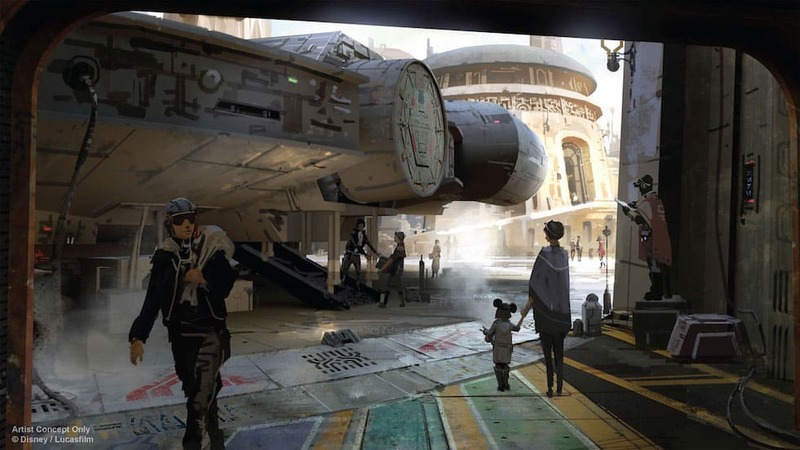 Yeah I have a feeling Star Wars is going to be crazy when it’s all set and done at Disney Hollywood studios. Have a great time on your next Disney vacation. Make sure you get there about 8am. An hour before it opens I know but then you can book into a decent time slot for Jedi training. We’ve just come back and my 2 girls loved it(6&8) . They fought Darth Vadar one to one and it was totally worth the wait! I love listening to you guys every week. You make not being at Disney a little better, though I’m always jealous whenever I see your pictures on Instagram. I think of you as my friends and just can’t wait to see you at a Mousechat meetup one day! We hope to see you at Walt Disney World one day too. Great show guys! I look forward to your show each week! Love getting the scoop on upcoming Disney World attractions! Keep up the good work! There is so much coming to Walt Disney World and Disneyland. It’s so hard to wait, but an exciting time to be a Disney fan. Heading down for our first family trip for Halloween. I’ve never been to HS or AK, and I’m very excited for both. Guess I should start planning for another trip once SW opens! Disney Hollywood Studios is going to have a great deal of construction as Disney transforms that park, but Disney’s Animal Kingdom park will have River of Lights starting in April and Avatar land in 2017. You will love Halloween too at the Magic Kingdom. Let us know how your trip goes. Very excited about the new Star Wars lands! I cannot wait to see how much the parks have changed in the past few years since my last visit. I am going later this year and the podcasts have been very helpful and informative.Keep up the great advice! Thanks you for listening to Mouse Chat. 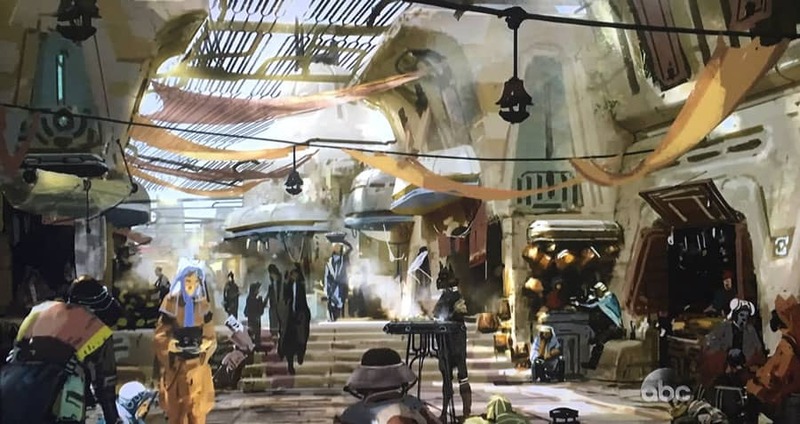 We will have to all plan a get together once Star Wars land opens at Disney. I agree that Disney needs to step up to the game in creating immersive environments, but I am concerned about what the new rides will be like. I haven’t been to any of the Harry Potter parks, but I have heard some of the stories about issues with motion sickness on rides. I hope Disney goes immersive, but still manages to create attractions that are fun for a range of people and not all about big “thrills”. Great points about Star Wars at the Disney parks. The Harry Potter rides, well the Forbidden Journey at Universal Studios Orlando, does make me personally sick. I love the ride but for some reason I get motion sickness really bad. I even started taking motion sickness pills before riding roller coasters because I love them, but 20 seconds in I’m trying not to get sick. I think that’s why I like Disney World and Disneyland. I can handle those rides and enjoy them with my kids. Other parks I might have to sit out a bunch of attractions because the coasters are too extreme and I don’t want to feel ill all day long. I think Disney knows it’s target market and will make sure the ride is enjoyable for everyone when it creates the Star Wars attractions. My family is impatiently waiting for the new Star Wars Land. I took my son and daughter to see Star Wars when it first came out. Now they both have sons who are beginning to watch the original movies. The Star War’s characters, like Mickey, have stood the test of time. I look forward to sharing all the excitement with three generations of my family.